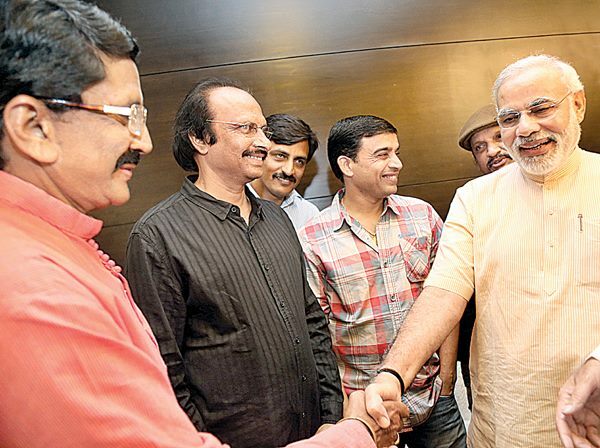 Tollywood celebrities met Narendra Modi yesterday in Hyderabad. 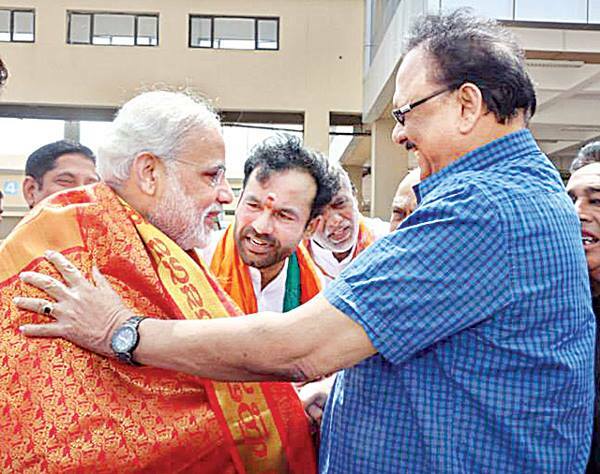 Manchu Family, Balakrishna , Murali Mohan, Krishnam Raju, Ragavender Rao and Allu family and some of celebrities met Narendra Modi. Manchu Lakshmi lead the meeting with her achoring. 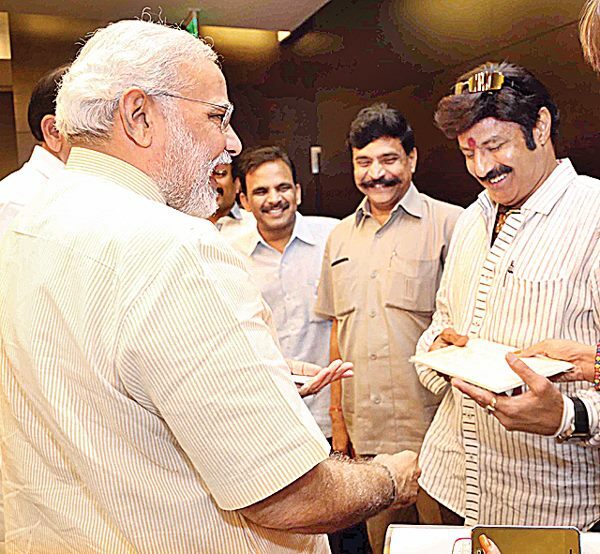 Nandamuri Bala krishna invited Narendra modi for his daughter’s Marriage . 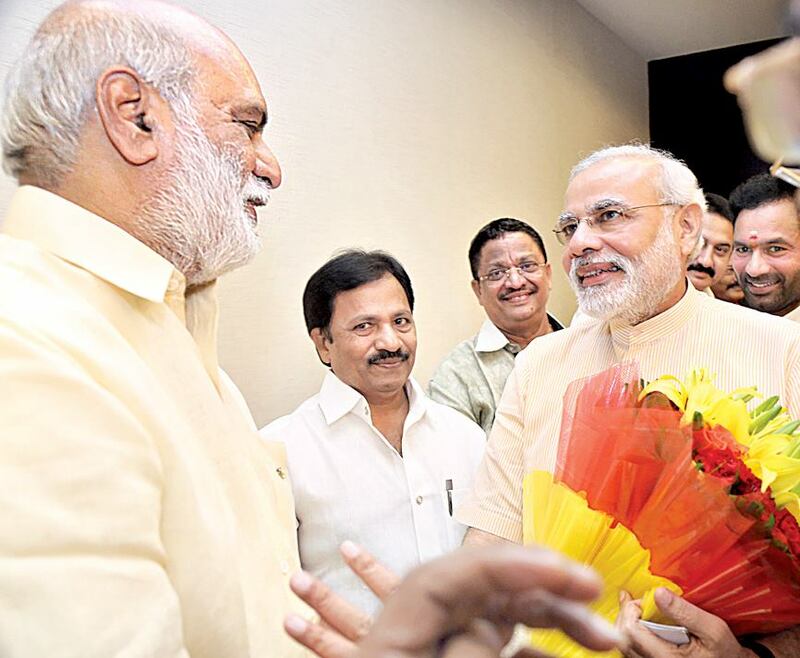 Check out the exclusive stills.